Middle school is one of the most important times in your life. Through this book, you can begin to lay a real foundation for success. To help you put into practice what you have learned from each chapter, 12 worksheets are included at the end of each conversation and available to download below. 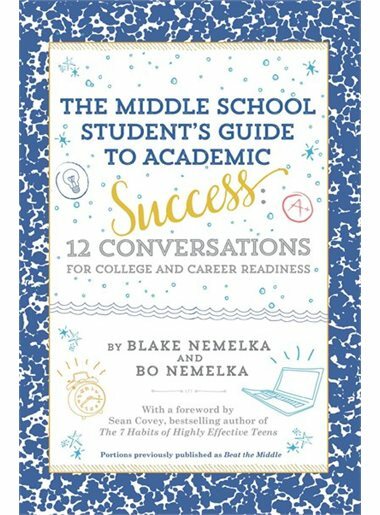 Middle School is hard, but this book will help prepare you for success now and in the future. You have to get accustomed to a much larger school. Friends begin acting weird. Lockers never cooperate and open when you need them to. English teachers overwhelm you. Math teachers lose you. And those are just the things that are happening outside of you. We know that you may also be overwhelmed by what is happening inside of you and to you. It is a rough few years. Order The Middle School Student's Guide to Academic Success Book Now! Grades are not the only measure of overall academic success. So we have created a list of everything you should be thinking about in Middle School throughout this book. We chose the 12 Conversation topics very carefully with the help of students, parents, mentors, and academic professionals. 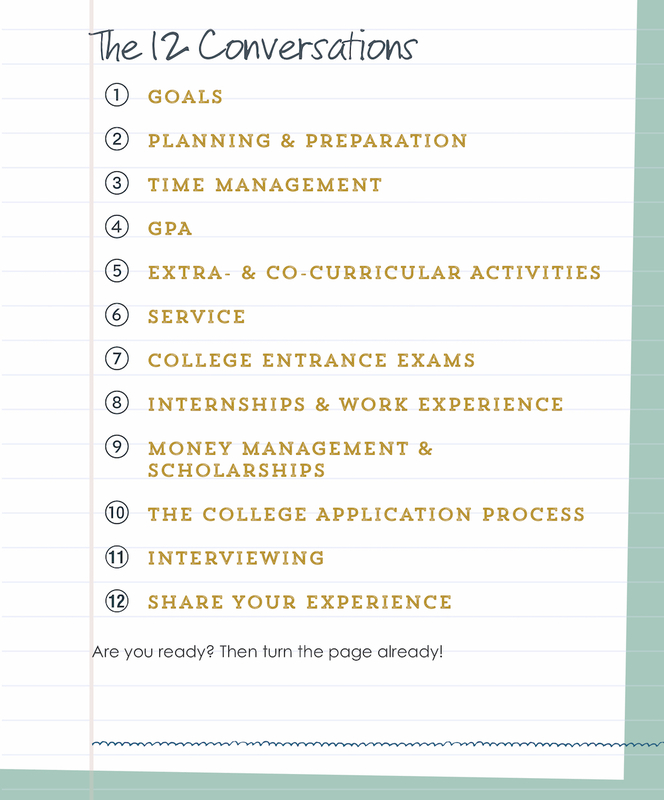 We believe these 12 things will help you now, tomorrow, and well into your future.